Varanasi is one of the seven holy pilgrimage centers in India and is also known as Banaras/ Benares or kashi. It is an amusing city situated in the south east part of the state Uttar Pradesh with its state capital being Lucknow and located at the bank of river Ganges with innumerous temples. It is the city of Gods and is said to be the holiest of all and is favorite of Lord Shiva, thus it is referred as City of Lord Shiva, ‘Shiv Ki Nagri’ as well. The city is very well-known for its temples, Kashi-Vishvanath temple being a noted one is dedicated to Lord Shiva, since the place is called as kashi the temple is also popularly known as Kashi Vishvanath temple. Varanasi stands out for its rich cultural traditions and is called as cultural capital of India. It is a remarkable place and people come from all over to see this holy city and witness the city’s charm. It is the oldest city inhabited, “older than history, older than tradition, older even than legend –and looks twice as old as all of them put together.”- Mark twain on the city of Varanasi. The place is noted as old as Indian civilization. Varanasi is an enchanting city, the narrow lanes, the houses close to one another, the people, the transportation- cycle rickshaws and electric ones, the junk food-chats and sweets, randomly roaming cows and ox, vintage buildings at the bank of Ganga and the Aghoris everything seems fascinating. Like the city Varanasi, the art and culture is also unique. It has also given master craftsmen and has been noted for handicrafts, fabrics, toys, adornments, metal works, clay and wood work and greatly for its beautiful Banarasi sarees. Banarasi sarees are well known, when one hears Varanasi the thought that comes after the river Ganges and the Kashi vishvanath temple would be of these Banarasi sarees. 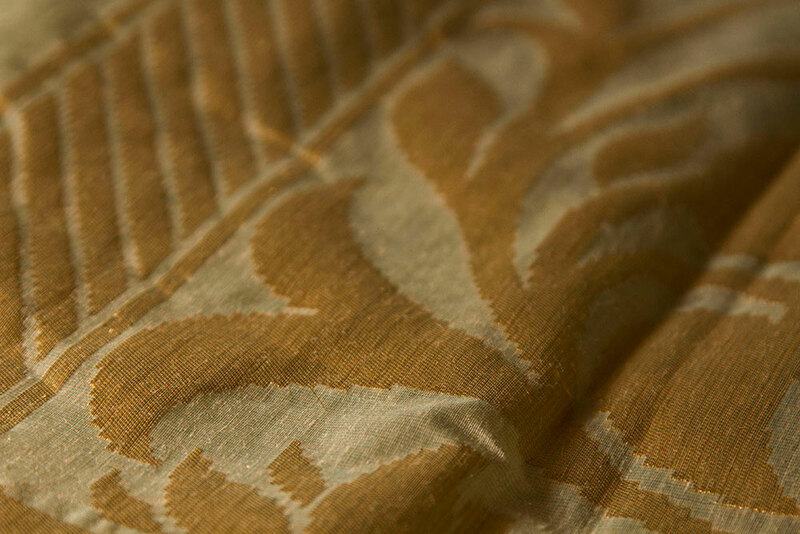 Brocade and Zari being the specialty of the city Banaras, the sarees are weaved along with gold or silver Zari threads, the sarees most of them have gold or silver zari threads weaved to the designs. 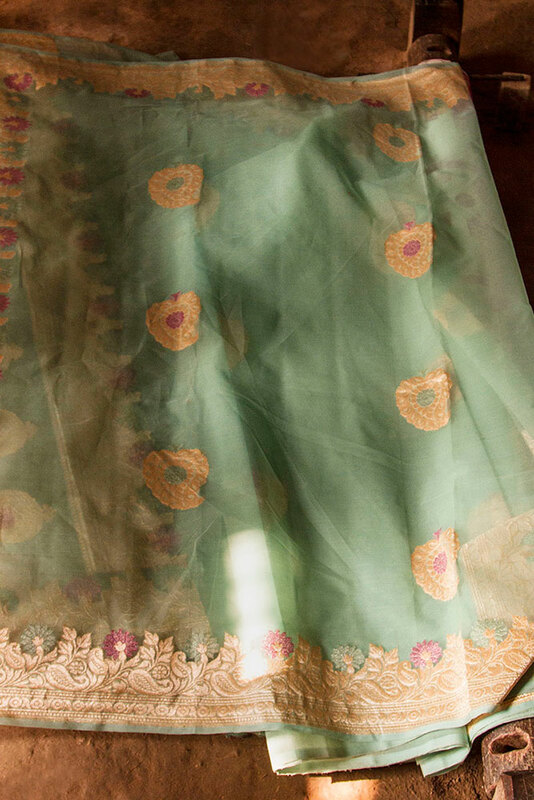 The Banarasi saree tracks or is encouraged by the Mughal designs. 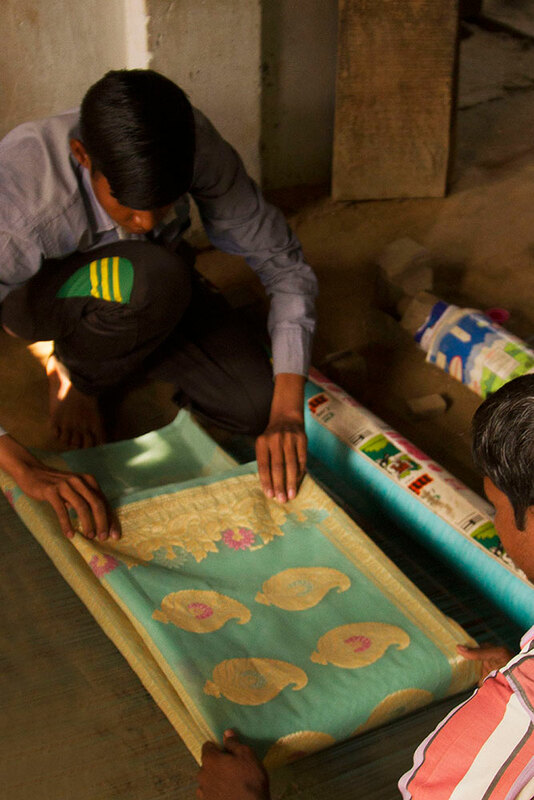 The Banarasi sarees came into existence in the course of the Mughal times when Muslim artisans and craftsmen chose Banaras as the dwelling that unified well with their culture and started weaving silk Banarasi sarees. It is also noted that the weavers were earlier focused in cotton weaving and have switched to silk weaving past fourteenth century. They also got specialized in brocade weaving. 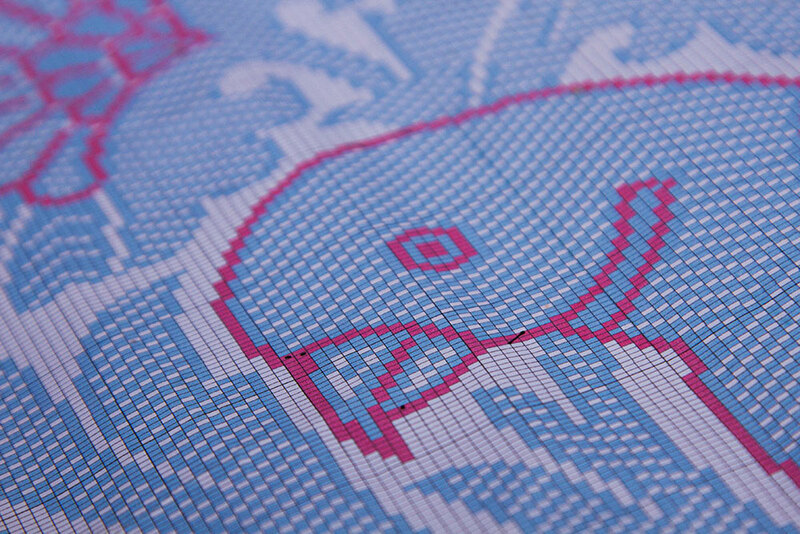 It is a textile in which patterns are created by thrusting the pattern threads (Zari) between the warp. 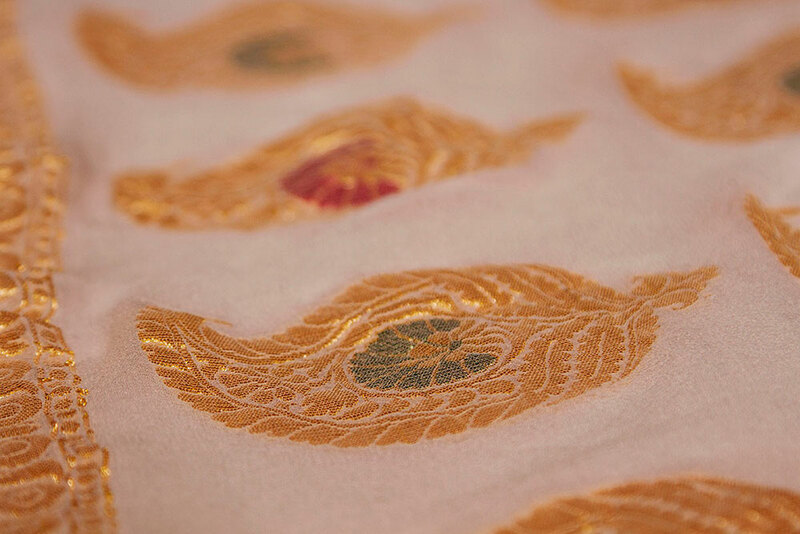 Zari brocade involves use of gold and silver threads to create a glittering embossed pattern appearance.